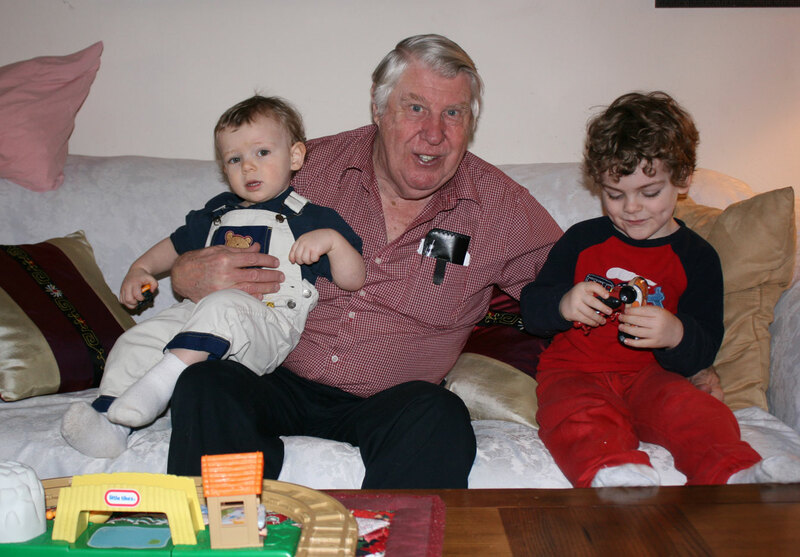 Below are pictures of Mark and Andrew between January 10th and January 24th along with John and Grandpa Jim. 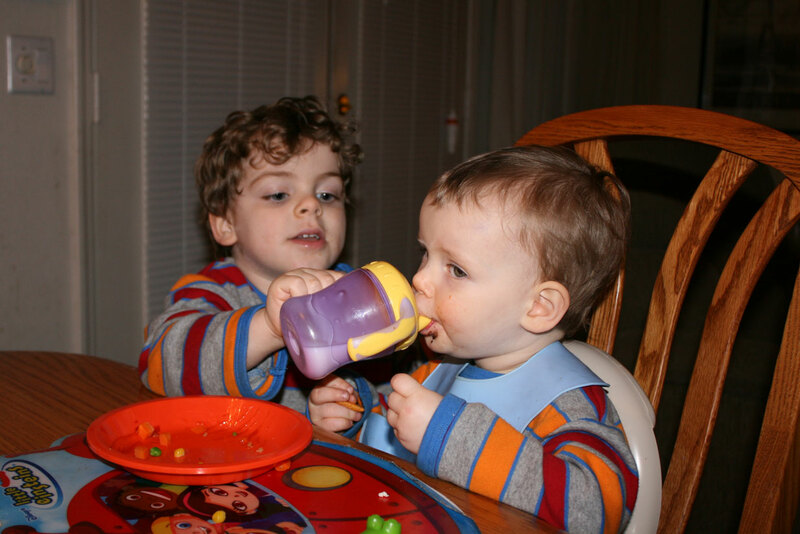 Mark helping Andrew drink milk on January 10th. 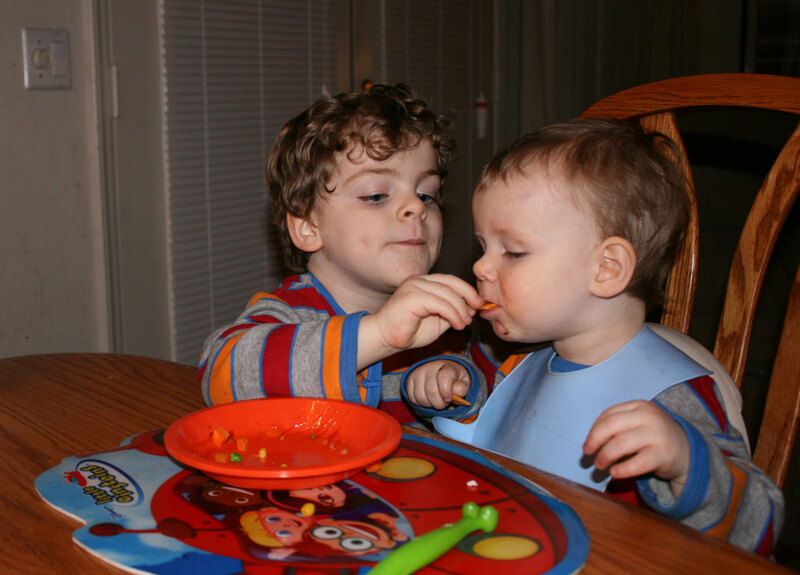 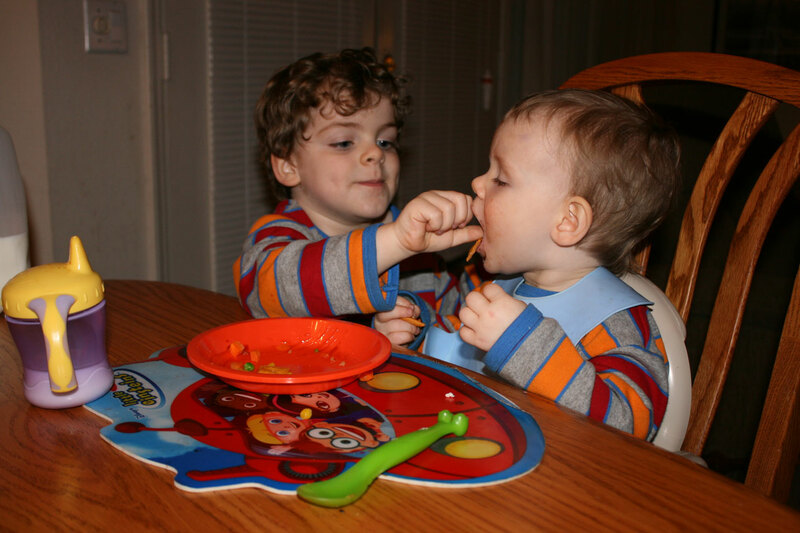 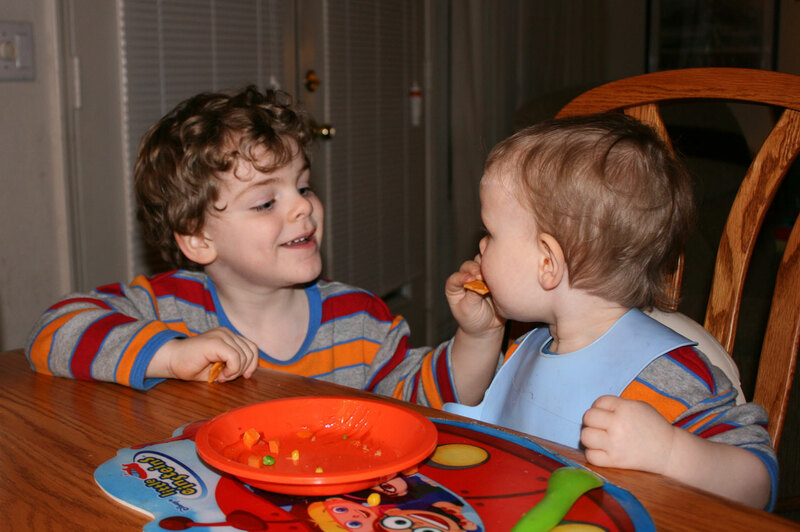 Mark feeding Andrew on January 10th. 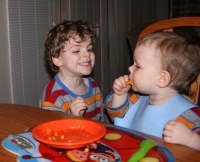 More of Mark feeding Andrew. Mark outside on slide on January 16th. 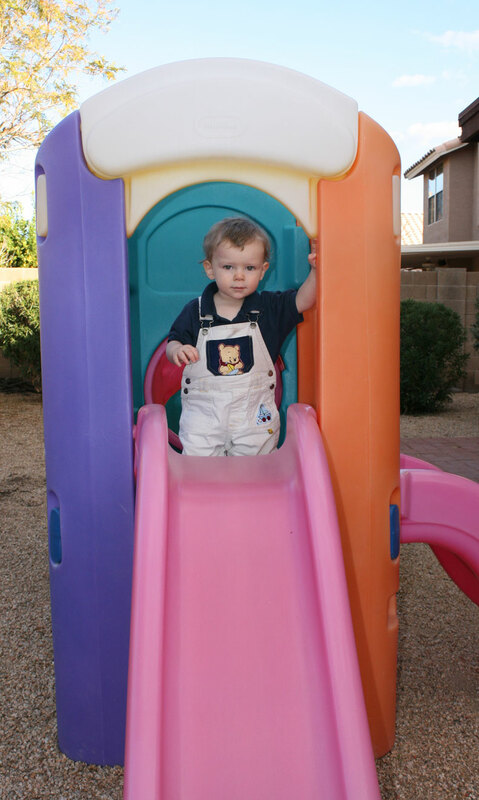 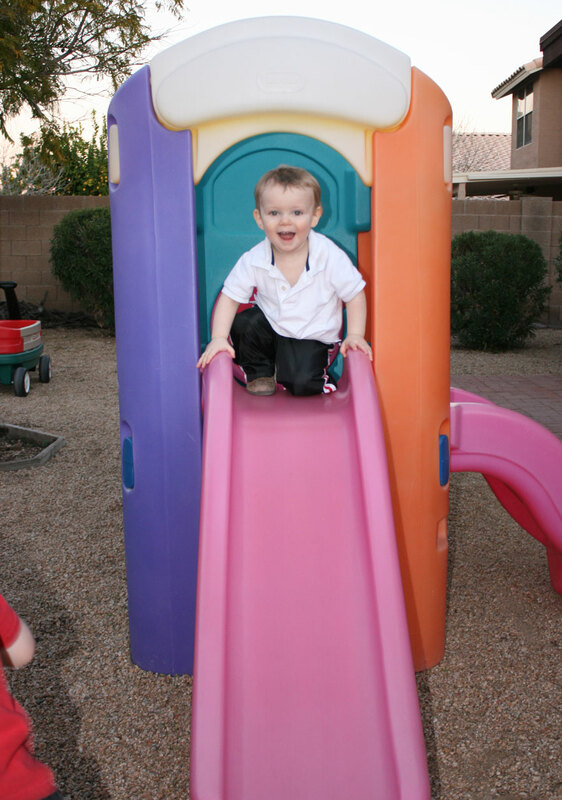 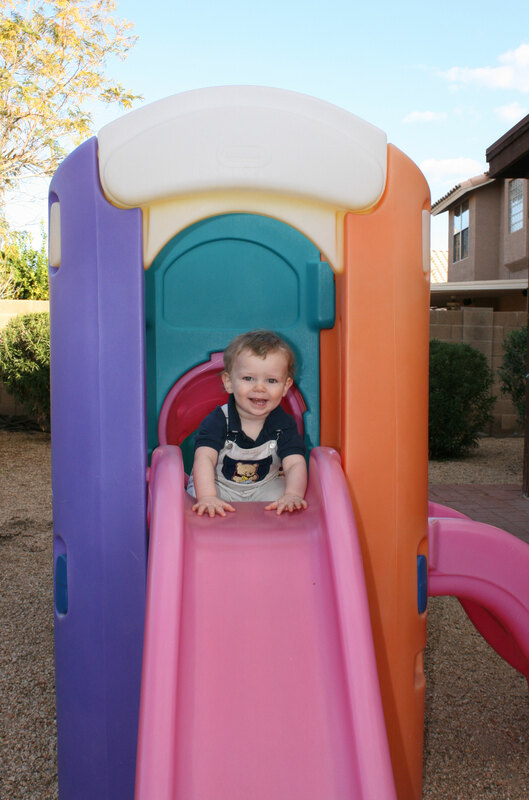 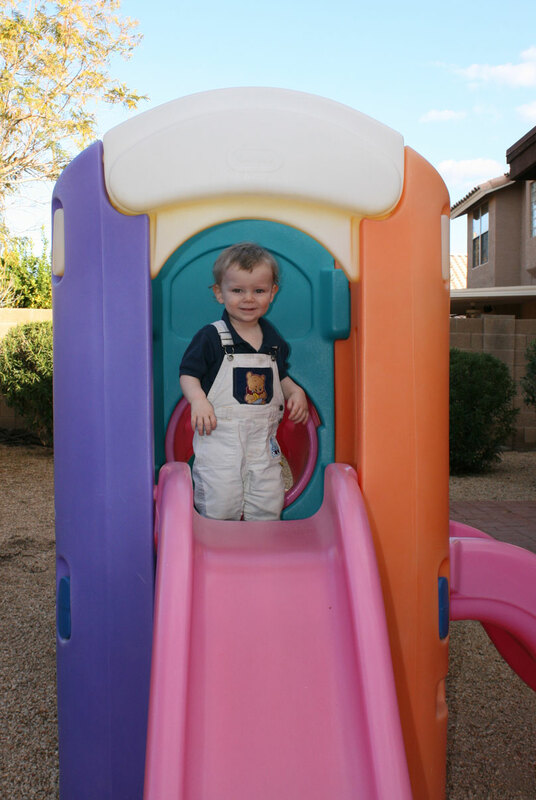 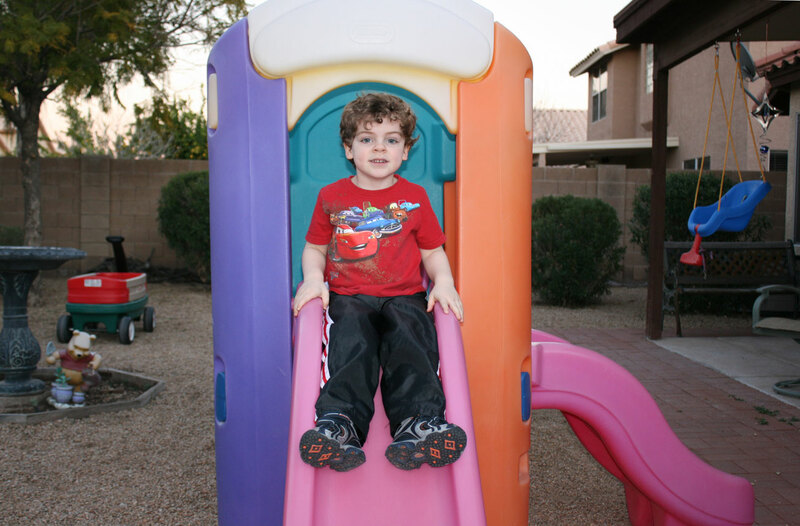 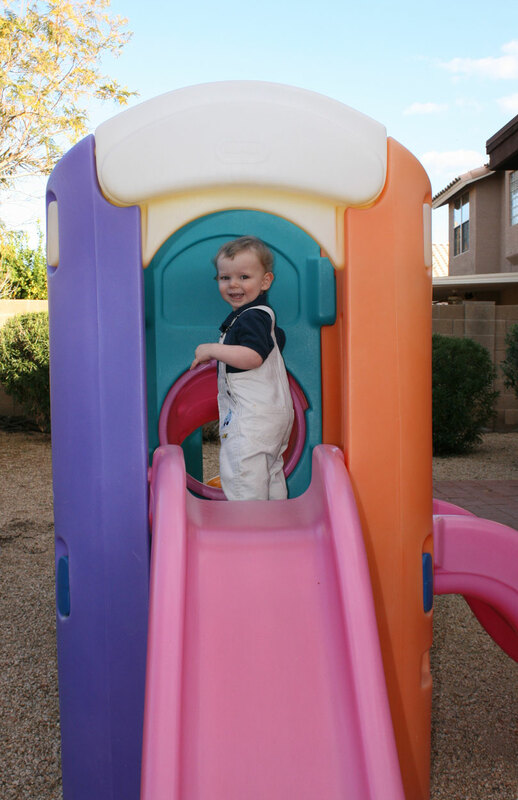 Andrew outside on slide on January 16th. 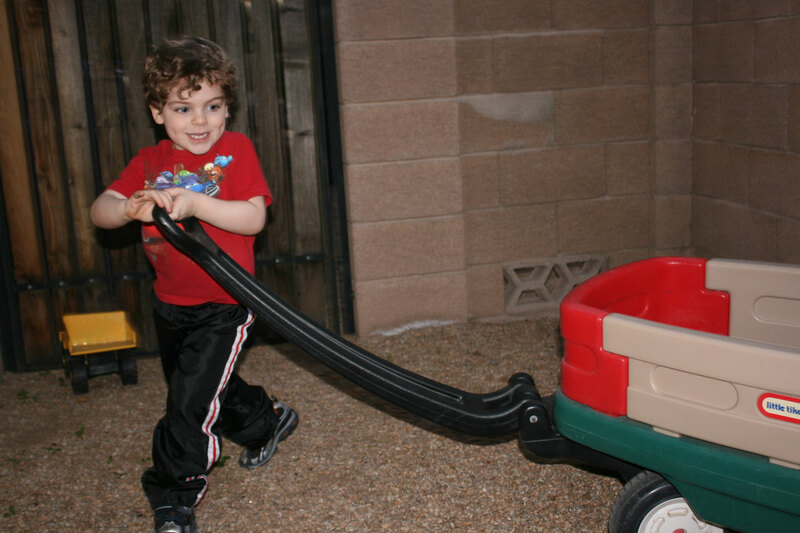 Mark playing with wagon. 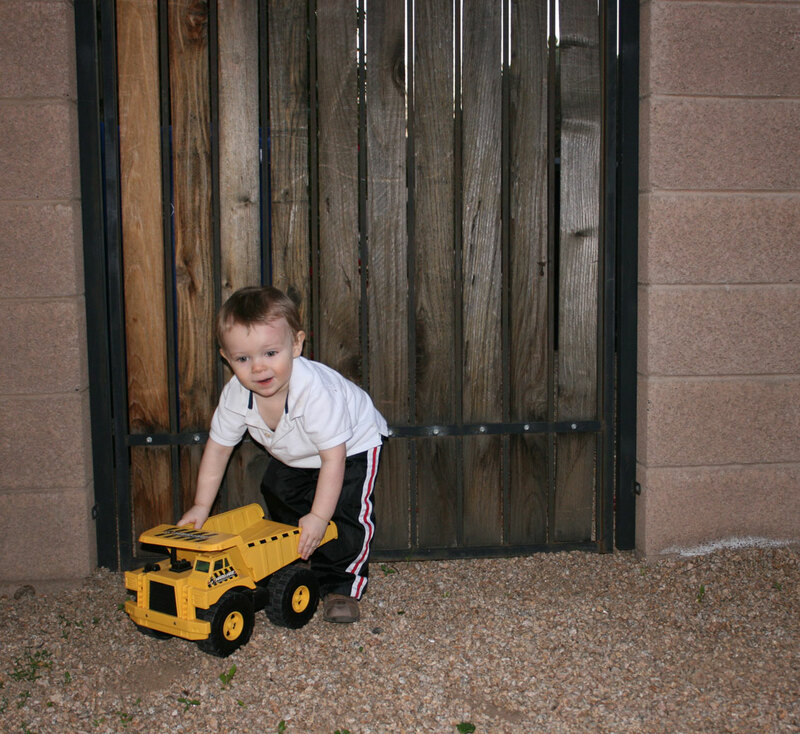 Andrew playing with a yellow dump truck. More of Mark playing with wagon. Mark outside on swing. 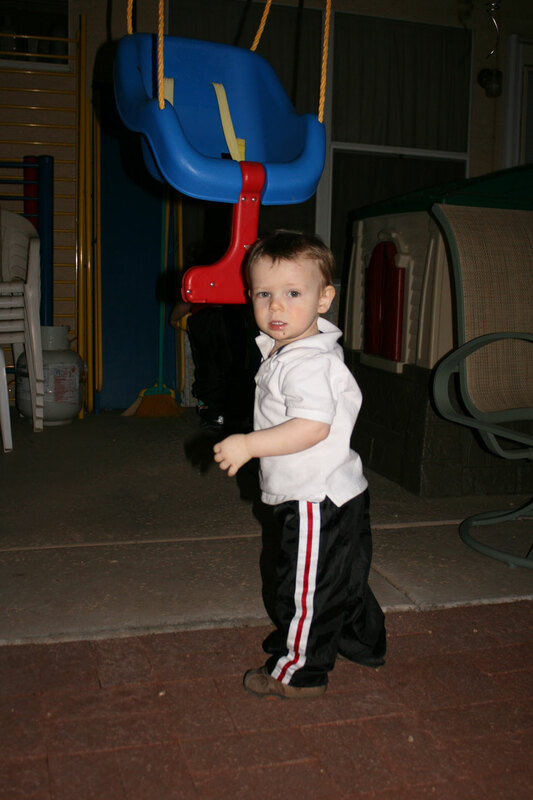 Mark outside on swing. 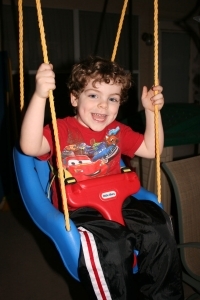 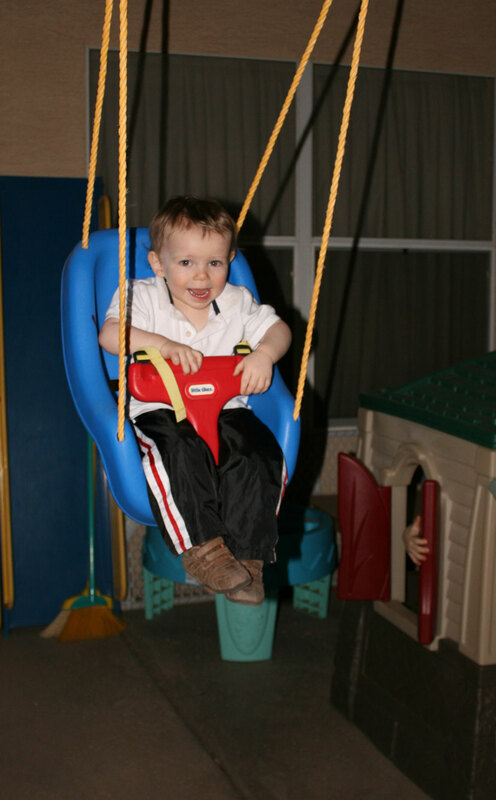 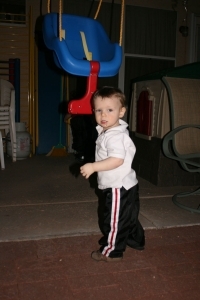 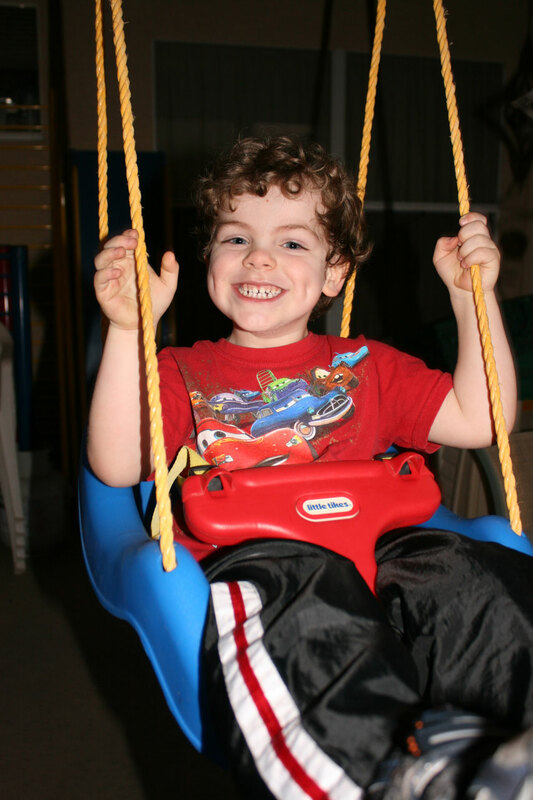 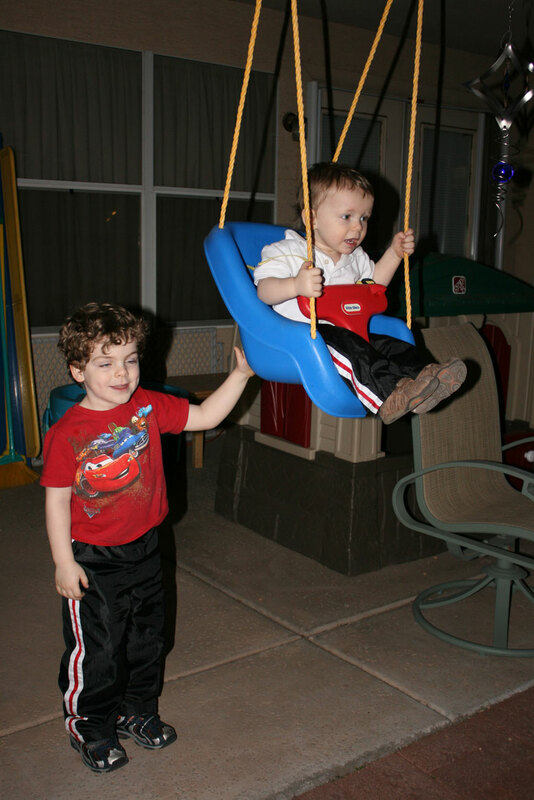 Andrew wanting to swing. 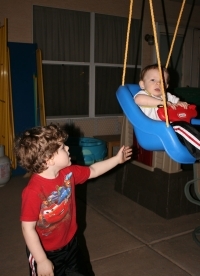 Mark helping to push Andrew on the swing on January 16th. 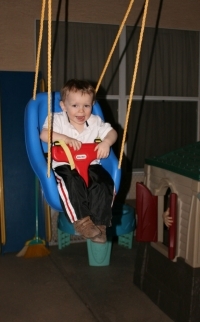 Andrew on swing. 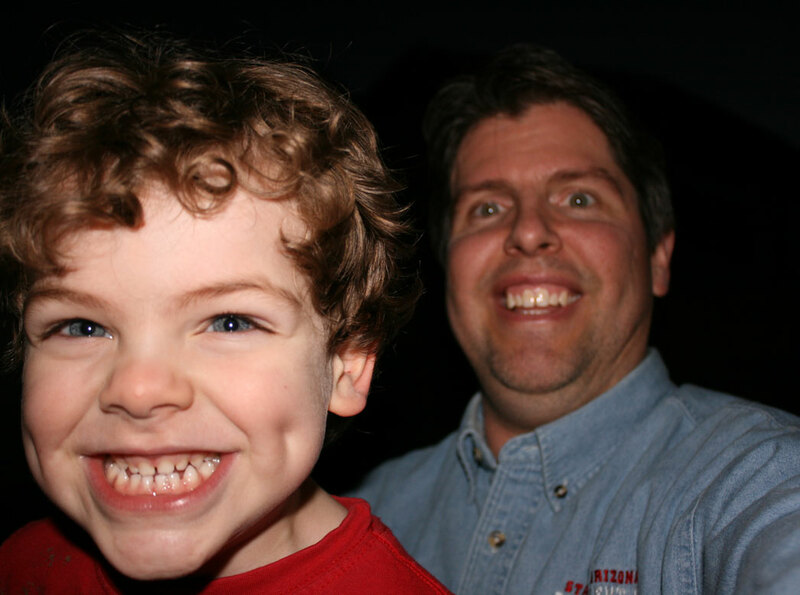 Mark and John outside. 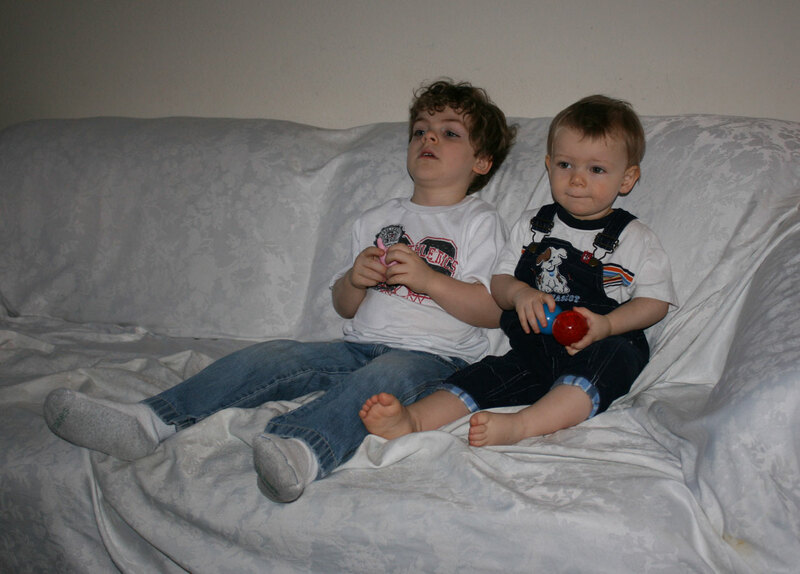 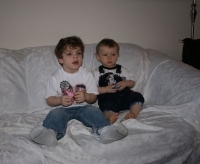 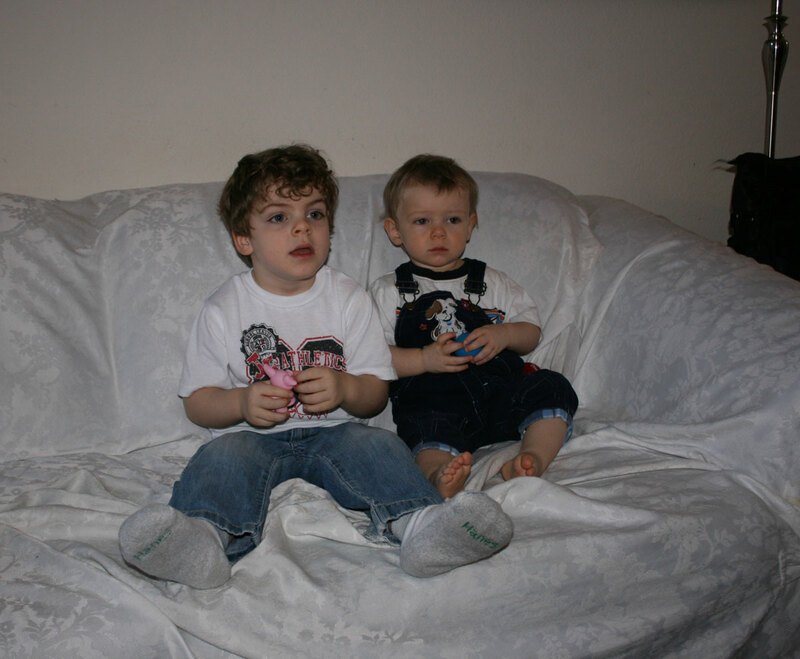 Mark and Andrew zoning out in front of the TV on January 17th. 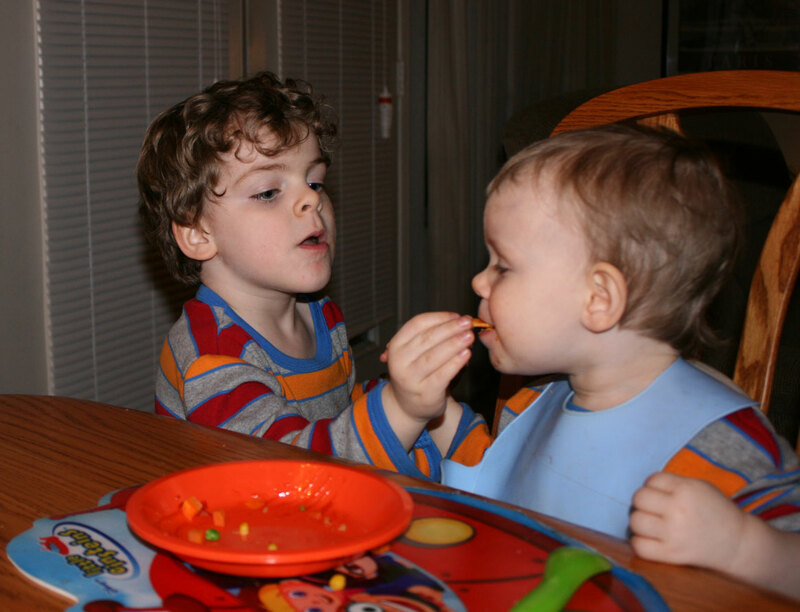 Mark and Andrew eating on January 17th. 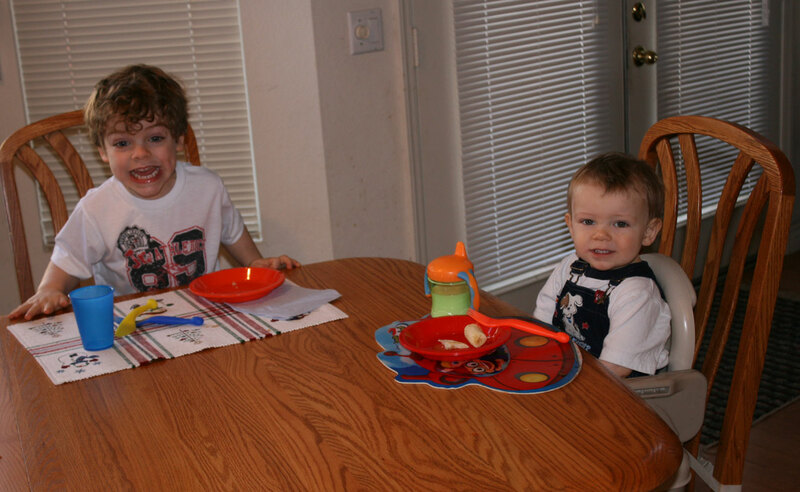 Mark eating breakfast. Andrew eating breakfast. 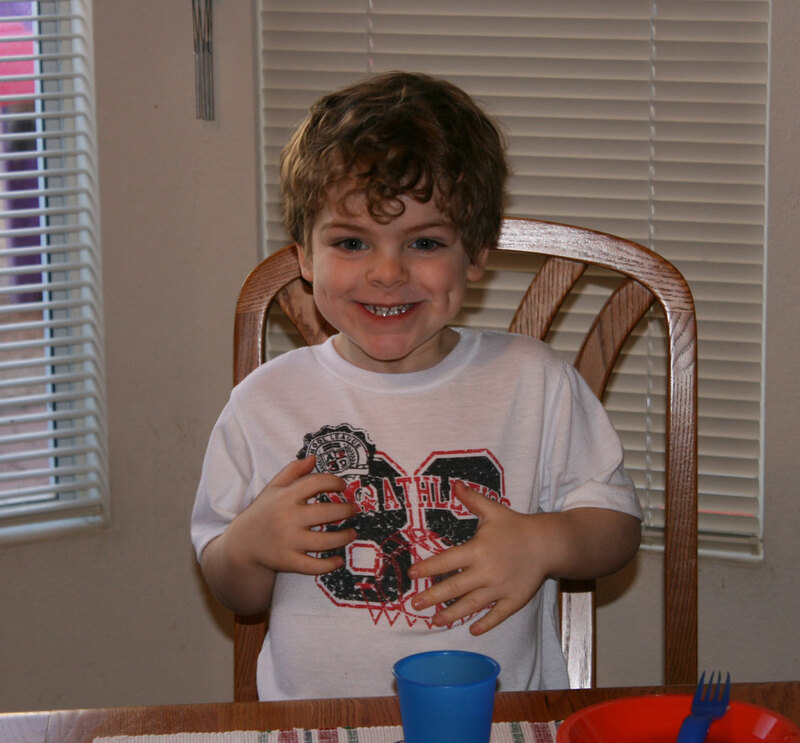 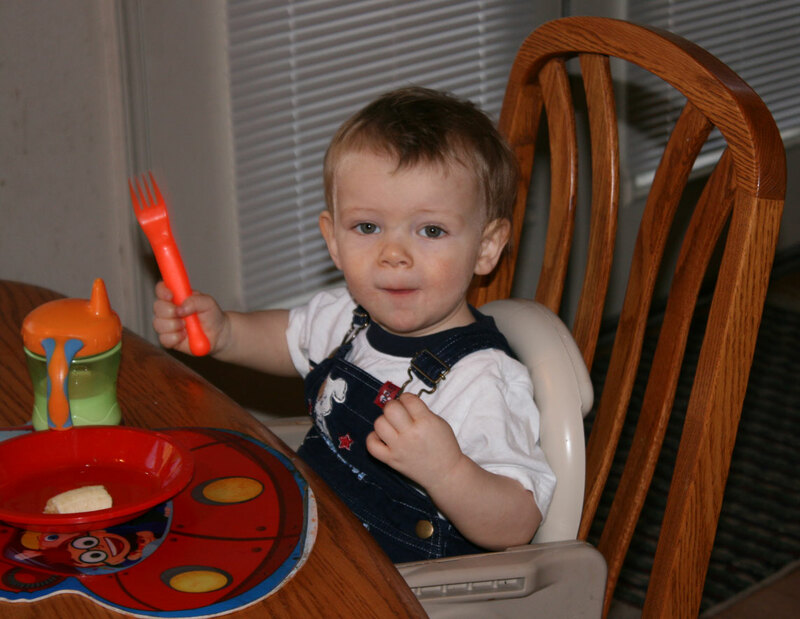 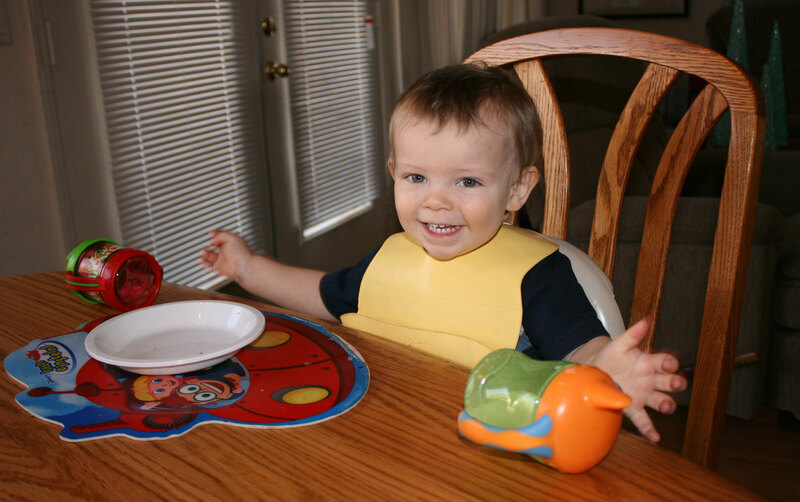 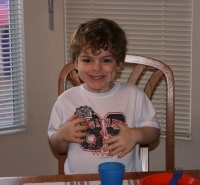 Andrew eating breakfast on January 18th. 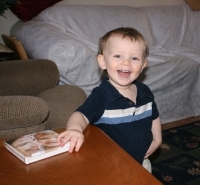 Andrew with a book on January 18th. 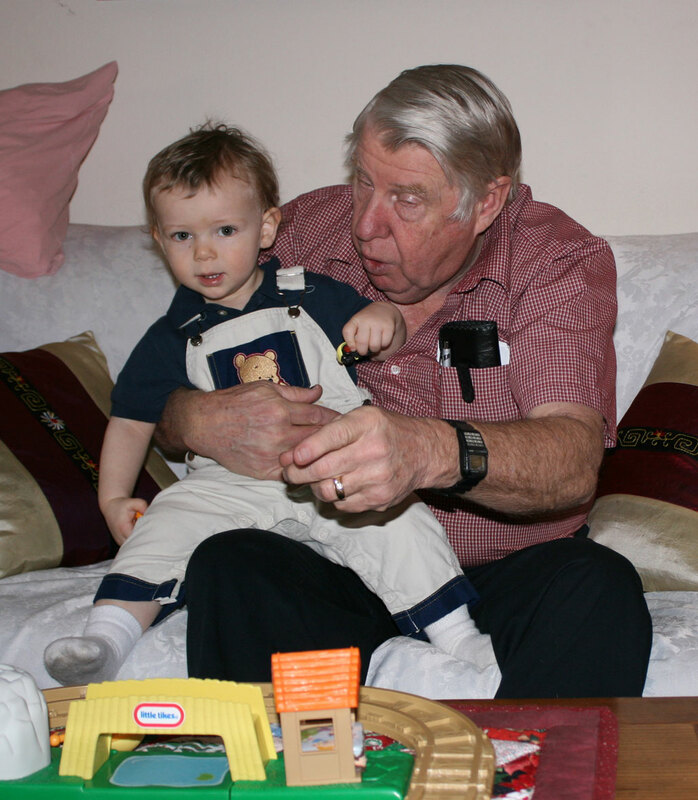 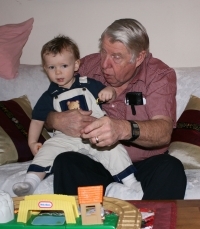 Andrew and Grandpa Jim on January 24th. 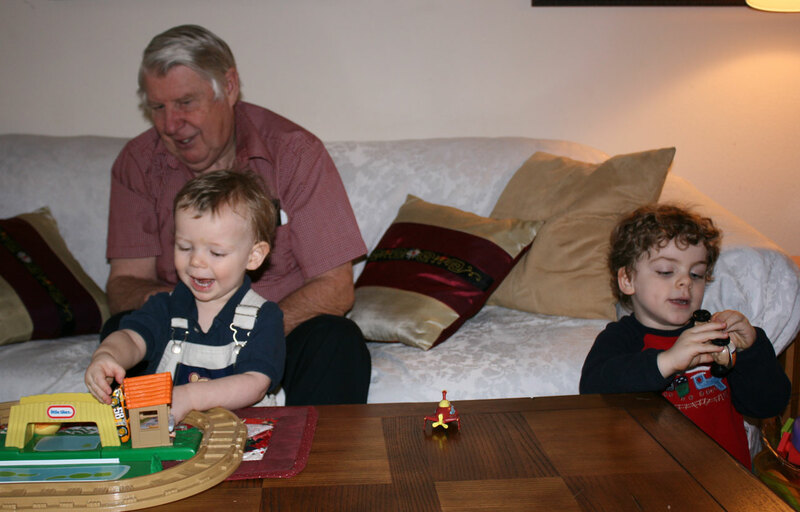 Andrew, Grandpa Jim, and Mark on January 24th. 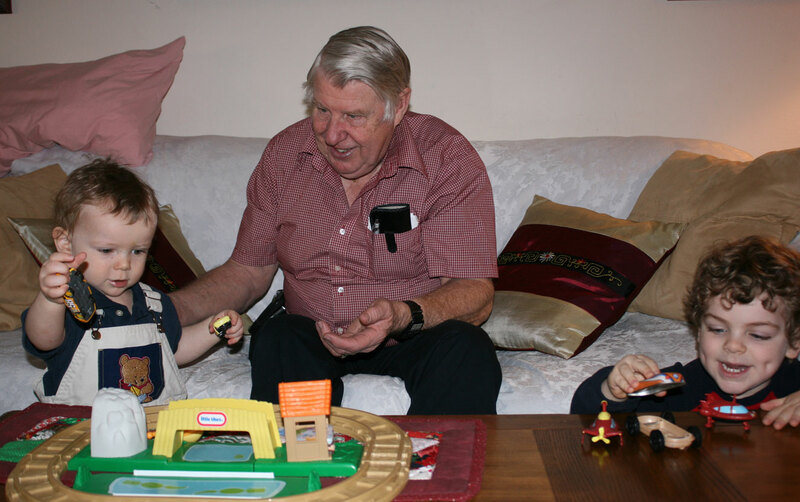 More of Andrew and Grandpa Jim and Mark. 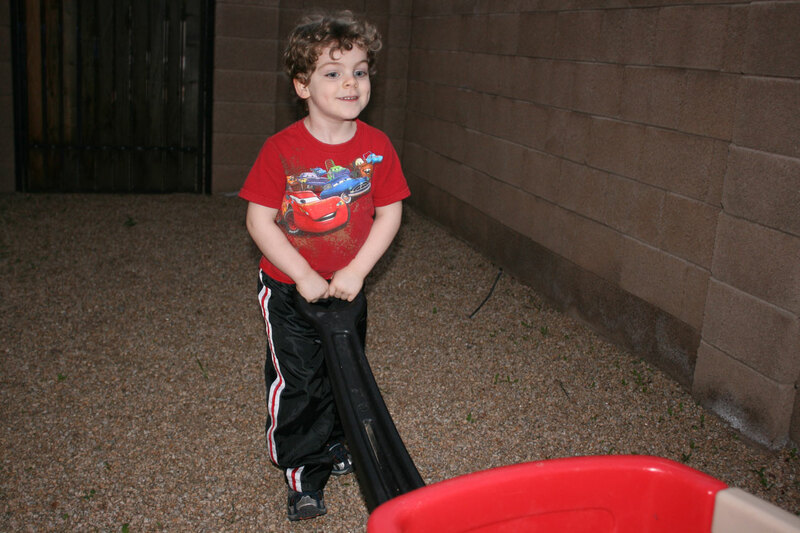 Andrew playing outside on January 24th. 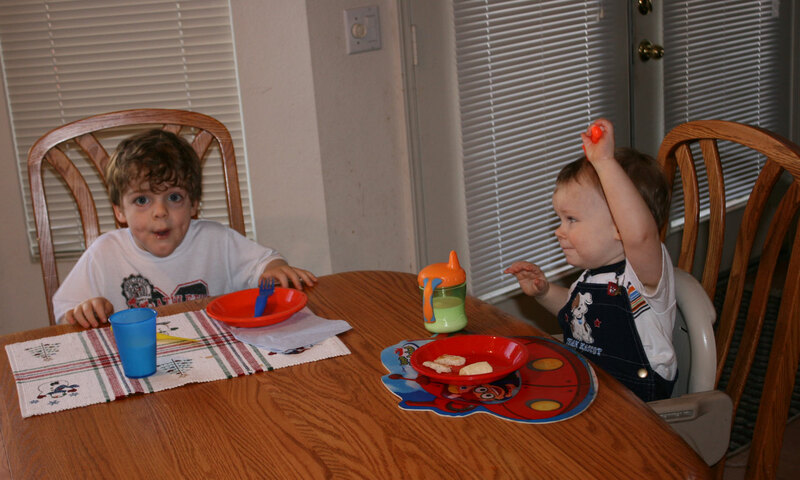 This page was last saved on Saturday, May 9th, 2009.